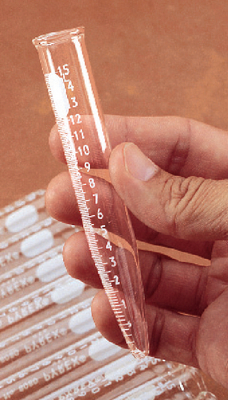 Borosilicate glass tubes feature white etched graduations in 0.1mL divisions from tip. Capacity: 15mL. Size: 17mm O.D. x 120mm L.